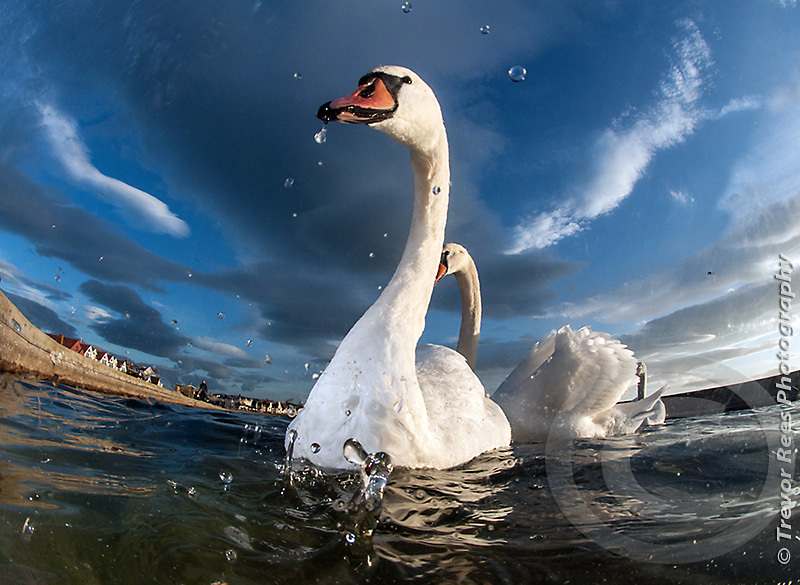 An image of mute swans (Cyngus olor) is Highly Commended at the BWPA awards - Urban Wildlife category. Taken at a pond in the town of Llandudno in north Wales. This is one of 4 different entries in the official book celebrating the 2014 BWPA awards with 3 of them Highly Commended.